General Military History Photos: WWII - Sicily Invasion. Grave of the first American casualty on the beach. Gela, Sicily. WWII - Sicily Invasion. 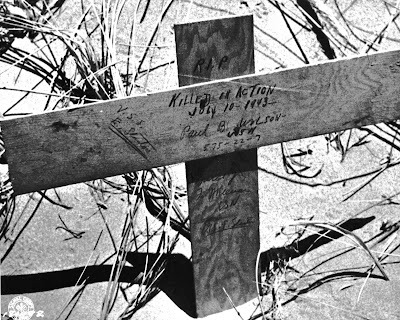 Grave of the first American casualty on the beach. Gela, Sicily.